Camp Director, Drea Lear and her staff are on the road, visiting our campers and staff and meeting new campers and families! Stop in and see us! Bring friends and neighbors who are exploring their camp options. Can’t make it and want some help selecting the right camp for you? This guide gives you great questions to ask any camp! Lawrence, KS – Friday, November 9 at Rock Chalk Shabbat. Dani Frissora, our Family Experience Manager, will be attending. If you’re there, please say hi. It’s her first time at the event! 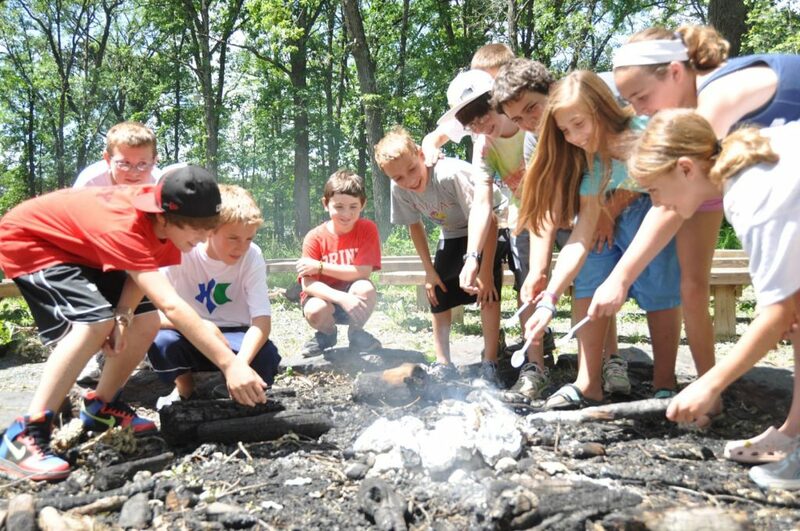 Leawood, KS – Saturday, November 10 at 6:00-9:00 pm – Camp Reunion & Bonfire Open house style – Dinner included! Join Camp Director, Drea Lear, and Dani Frissora, Family Experience Manager. RSVP here for address and so we know how much food to get. Leawood, KS – Monday, November 12 from 3pm-5pm – After School Nosh @ Blue Chip Cookies in Leawood, KS. Stop by for an afternoon nosh on us! Open to past, present, and future campers. Dani and Drea will be there to answer any questions you or your camper might have. Bring a friend who hasn’t been to camp before with you to any of these events and get $50 off your registration when/if that friend signs up for camp! Lincoln, NE – Sunday, November 11 at 9:30am-10:15am Religious School at Tifereth Israel Synagogue. Camp Director, Drea Lear, will be running a short learning activity with the kids and then will be available to answer any questions you might have. Omaha, NE – Sunday, November 11 Open House from 1:30-3:30pm at It’s Yours Pottery (132nd and Center St.). Open to all current, past, and prospective campers and their families. $50 off your registration when you bring a friend and they register for camp. WOW! Please RSVP here so we can give the studio an estimate. Creve Coeur MO, Sunday, November 11th 1:00-3:00pm at The Painting Spot Open to all current, past, and prospective campers and their families. $50 off your registration when you bring a friend and they register for camp. WOW! Please RSVP here so we can give the studio an estimate.